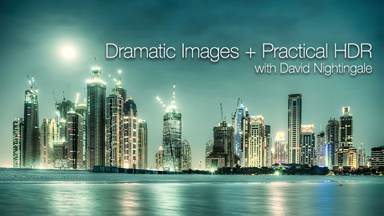 Creating Dramatic Images: During this intensive workshop, David will provide you with the skills you need to dramatically improve both your photography and post-production. You'll learn how to work through the processes that are needed to create a dramatic image, both before and after pressing the shutter. + Practical HDR: Based in part on his popular book Practical HDR, David shows how to use HDR techniques to help capture a realistic natural look to your photos, or push beyond for a surreal/grungy style.